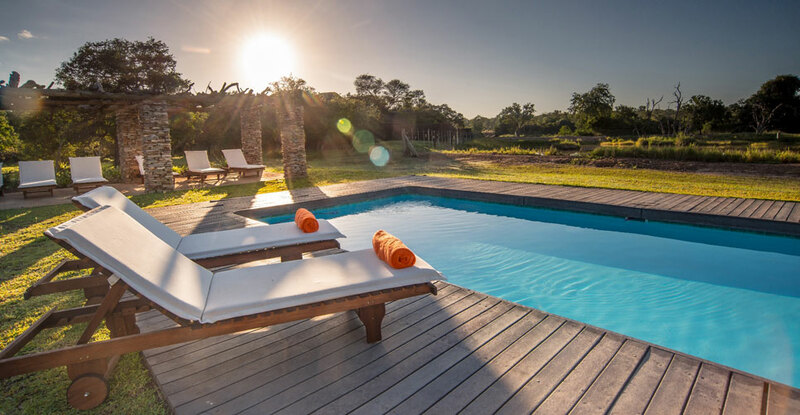 Karongwe River Lodge is one of several inviting safari options in Limpopo’s Big Five Karongwe Private Game Reserve, overlooking the majestic Drakensberg mountains. A riverside base is the tranquil setting for your safari here, where you are privy to the views and secret life of the Makhutsi River. Watch animals from your private deck between the scheduled 4×4 safari drives, and dine under the stars in a rustic boma. Central facilities include a spacious lounge and outdoor deck from which to watch wildlife, and a pool deck to enjoy between safaris. For children, age-appropriate activities are provided at the Little Paw Centre. There's currently no specials at Karongwe River Lodge. Conference facilities are available at nearby Chisomo Safari Camp.